With less than 5 days to the much awaited February 16th Presidential and Federal legislative polls, despite the enormous success of their ward to ward campaigns, aides to leading Abia-North Senatorial candidate of the ruling All Progressives congress’s Dr. Orji Uzor Kalu are leaving no stone unturned in ensuring their principal is elected at the Red Chambers despite his souring popularity in the zone. This is coming as they on Monday embarked on intensive town hall meetings and door to door campaigns to further galvanize more support for their principal. 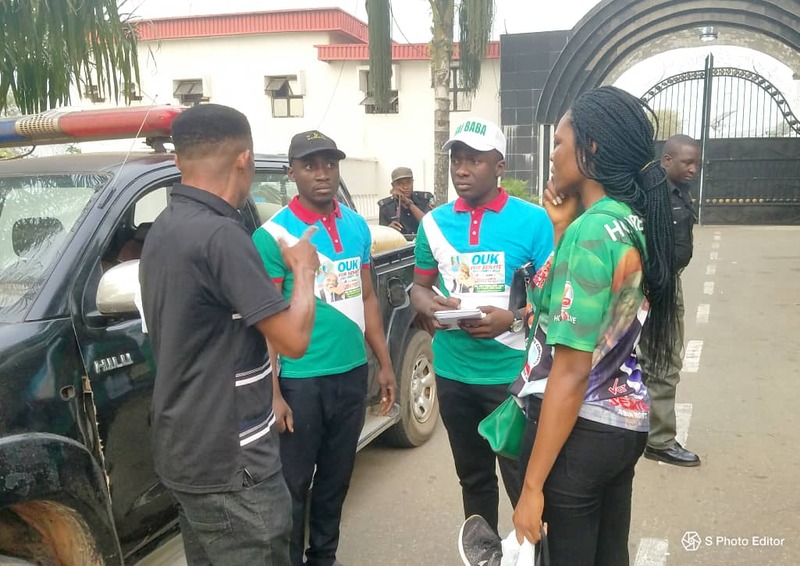 The team led by the Ugochi Okoroafor the Chief protocol officer to the Former Governor during the exercise sensitised the people on the need to troop out and exercise their fundamental franchise by voting and protecting their votes. Also among the team were Mr. Kenneth Udeh S.A. (Media), Mr. Ogbe Benjamin and other details to the APC Chieftain. 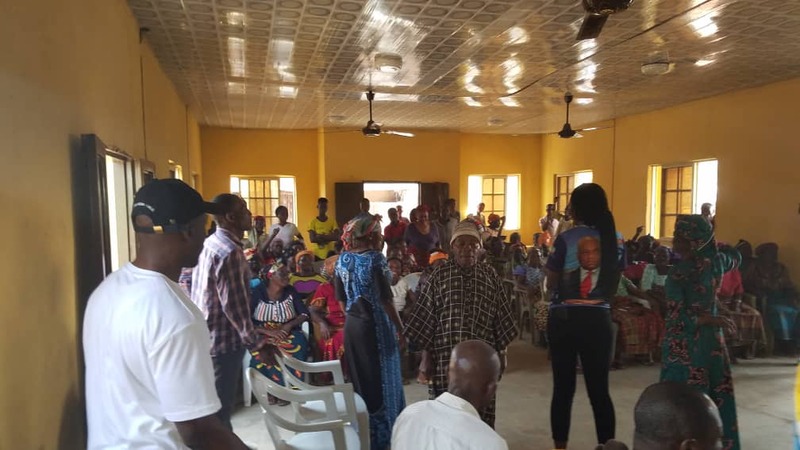 The Aides, received massive support on behalf of their principal as the community received them with heart rendering choruses in Amaogudu, Abam Autonomous community. The people also eulogised the outstanding qualities and achievements of Dr. Kalu. 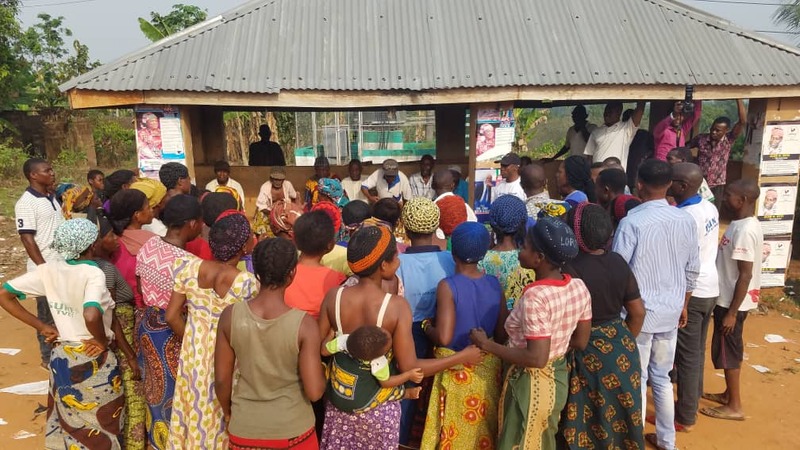 Speaking to the people who converged at the Multipurpose Amaogudu community hall Ugochi Okoroafor, called on the people to come out enmasse in their numbers to vote on Saturday, she reeled out the countless achievements of the Dr. Orji Kalu as Governor of the state. 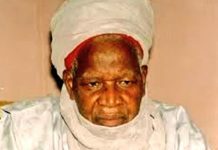 “You are all witnesses and beneficiaries of his endless achievements when he was Governor of this state how workers and pensioners were timely paid , his free education and Agricultural policies just to mention a few unfortunately since he left office to date nothing of such ever happened again. Even since he left office he has continued to attract federal projects like the Ohafia to Arochukwu express road , ring road , item road and so many other others. So you can imagine what he will do when he eventually becomes your Senator at the Red Chambers. It can only be possible if you all come out emmase on Saturday and vote massively for him. Speaking in the same vein Mr. Ogbe Ben a detail to the Former Governor while recalling the achievements of Dr. Kalu also urged the people to reject vote buying he emphasised that they risked mortgaging their future for another four years if they indulge in such. In his words: “It is crystal clear that the PDP is a sinking party, it is obvious that the PDP have ruled this state for 12 years with no single tangible achievement to show for. “But I can assure you all that redemption is on its way. Dr. Orji uzor Kalu as the Chieftain of the APC in this state, as you all know is man who has a good heart with unending passion for the well being of the masses. Despite not holding any public office for 12 years but has been delivering dividends of democracy to the people through is his robust relationship with President Buhari. Don’t forget that if you are offered money to vote you have just sold your democratic dividends for the next four years. The money they will give you is what is supposed to be used to build the unattared roads which exists in your community today, the money is what is meant to build you schools. So it’s better you resist the temptation. 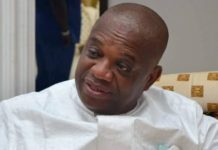 “The new Ohafia to Arochukwu expressway which is being built is as result of the influence of your son Dr. Orji Uzor Kalu. The roads were requests granted to Dr. Orji uzor Kalu by President Buhari . So you should expect more dividends if Dr. Orji Uzor Kalu becomes your Senator and President Buhari is re-elected”. 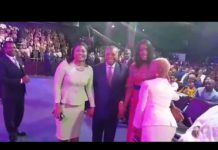 Speaking behalf of the community in appreciation elder Simon Ayi was thankful to the team for embarking on the exercise, he extending their mandate assurances to Dr. Orji Kalu that they would vote massively for him. In his words: “Our hearts are filled with joy as a result of your visit . You all came due to the love you have for us. 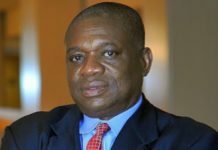 Dr. Orji Uzor Kalu is our own son, we know the numerous things he did for us when he was Governor. Tell him that we are solidly behind him that this election is going to be different from others we shall not only vote for him but do it takes to protect our votes” he assured.